So I explored how Mary could be a witch. How can she be a Time Lord? Well in addition to all that we know she speaks a lot of languages including Baby. Her carpet bag could be a bag of holding or it could be Time Lord science. She acts both young and wise, much like the Doctor and spends a lot of time with younger companions. The 11th Doctor even made references to her in "A Christmas Carol" and in the book "Magic of the Angels". In MotA the Doctor even has a carpet bag that he claims he got back from Mary. 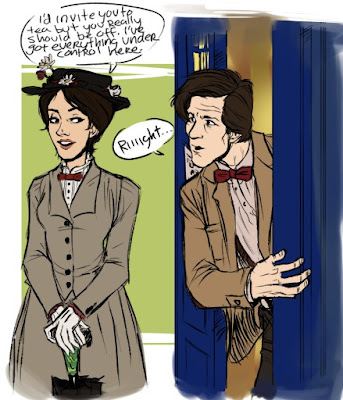 Mary could have avoided the Time War much like the Doctor did. She could have been The Nanny even. Heck if that is case maybe she regenerated into Nanny McPhee. She knows people from other planets such as the girl from the Pleiades. Supercalifragilisticexpialidocious is almost as bad as Raxacoricofallapatorius. 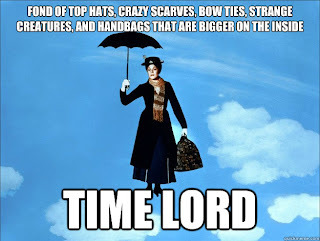 The Time Lord known as Mary Poppins fled Gallifrey in the earliest days of the Time War with one goal in mind. 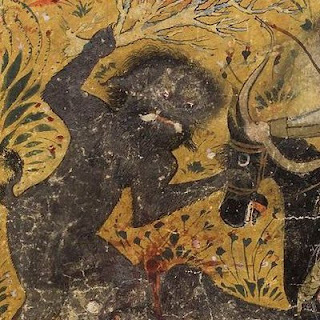 To protect those who could protect or help themselves. She has been known to have encountered the Tim Lord known as The Doctor at lease once. She has a number of family members she will mention, but these are all adopted and are world wide. 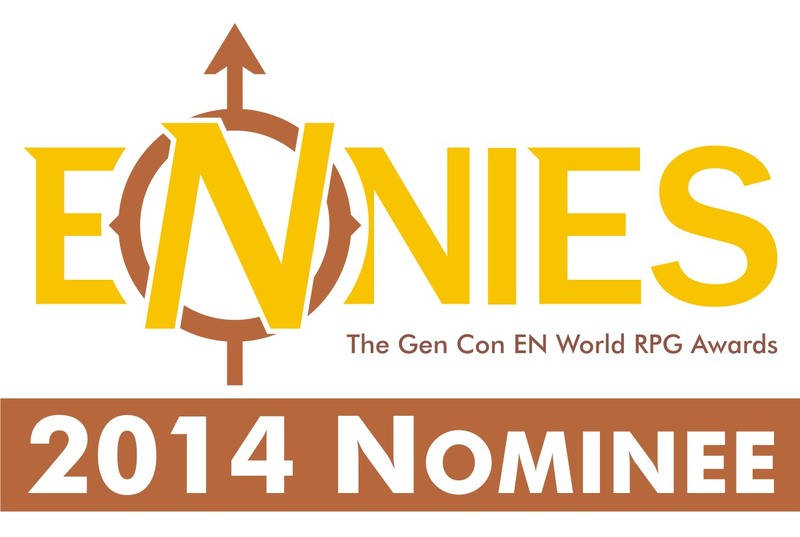 It is also not too much of a stretch to see her working the Paternoster Row Gang at some point. Next time I'll cover why Ms. Frizzle of the Magic School Bus is not just a Time Lord but is in fact River Song. So how about you? 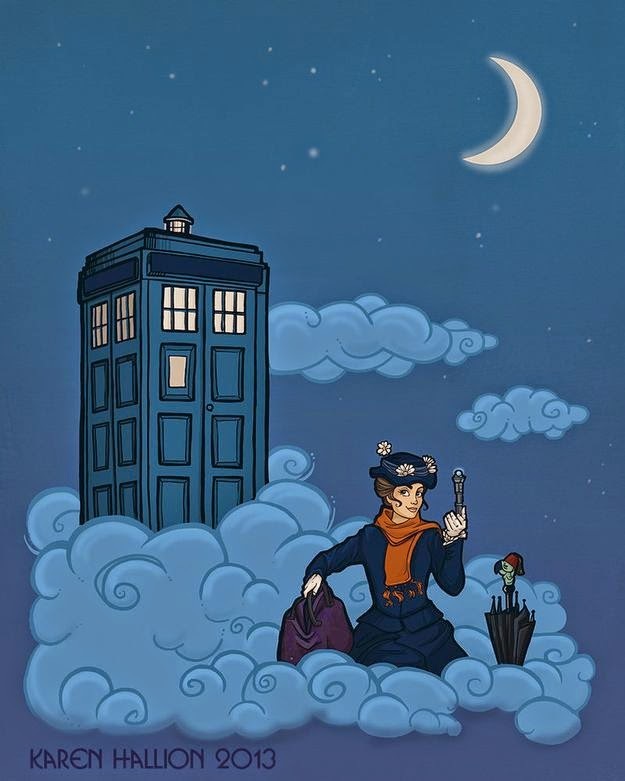 Is Mary a Witch or a Time Lord? If Neil deGrasse Tyson says she's a Time Lord, she's a Time Lord! I agree. 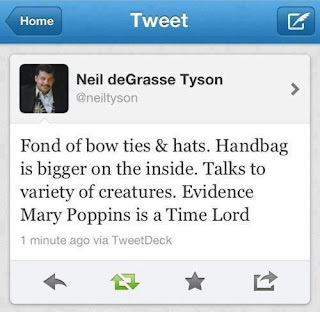 Mr. Tyson is always right!